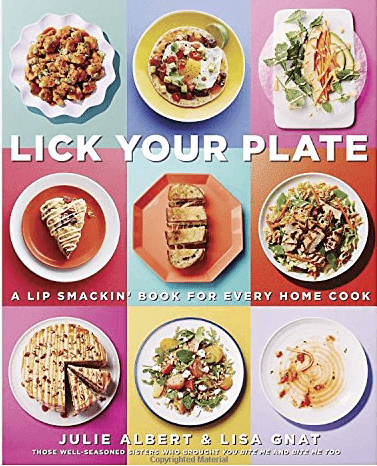 Lick Your Plate: A Lip Smackin’ Book for Every Home Cook was written by two sisters, Julie Albert and Lisa Gnat. Their mission was to create a cookbook that would serve as a kitchen sidekick. I first learned about the book from their mother, who I’m working with on the Einstein Legacy Project. More on that project in a future post… it’s a truly exciting venture that I’m thrilled to be a part of. 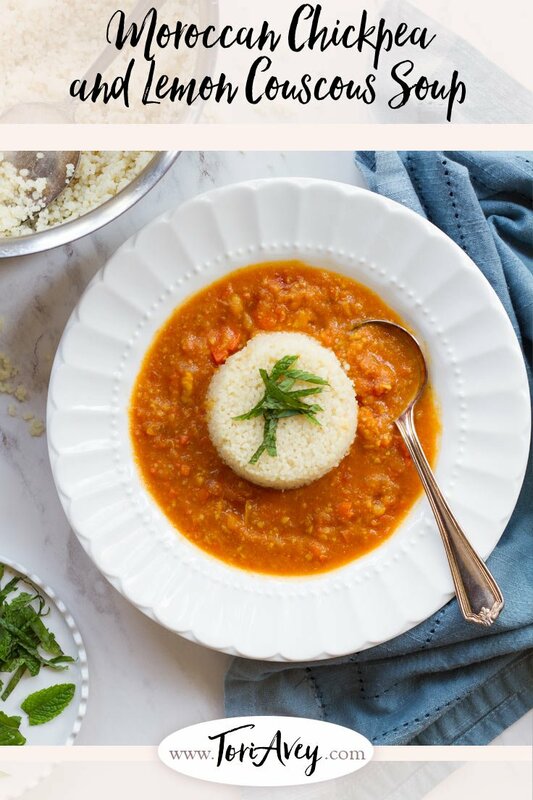 I started exploring Julie and Lisa’s cooking website, Bite Me More (gotta love the cheeky title! ), and was so impressed by their sense of humor and their laid back approach to cooking. Julie and Lisa are ladies that would be welcome in any kitchen; they do a terrific job of presenting simple recipes in an easy, understandable way. The pages of Lick Your Plate are filled with recipes for everyone, no matter your level of cooking expertise. The ingredients can likely be found in your refrigerator and pantry at any given time and no special equipment is required. I also love that their recipes delve into all types of world cuisine. In one book we’re introduced to a colorful variety of “lip smackin’” dishes, from Easy Teriyaki Cocktail Meatballs to Fresh Tomato & Whipped Feta Polenta Crisps (yum!) to Baja Fish Taco Salad with Creamy Chipotle Dressing. There is no lack of variety here! What I also love about this book is how quickly the meals come together. Between Julie and Lisa there are 6 teenage kids, so they are no strangers to the advantage of recipes that don’t take much time. Their previous cookbooks, Bite Me and Bite Me Too, have a similar mission statement. A feature in Lick Your Plate that I really loved is a series of six symbols used throughout the book that indicate helpful tips like how to use leftovers, if a recipe can be made in under 30 minutes, and even some fun food-related trivia. 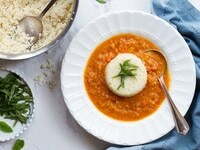 While perusing the pages of Lick Your Plate, I came across this recipe for Moroccan Chickpea and Lemon Couscous Soup. It sounded delicious and, like most nights, I was in a bit of a time crunch. The soup only required two pots and an immersion blender, and according to the recipe it only took about 30 minutes to make. Sure enough, the soup was finished and on the table in just over half an hour. It also tastes great! As written in the book, the soup itself does not contain any salt. I added a teaspoon at the end, but feel free to leave it out if you’re watching your sodium intake. 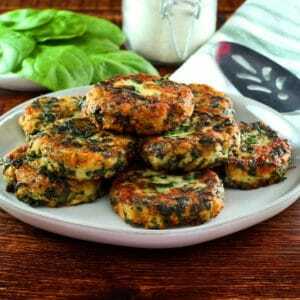 This recipe can easily be made vegan and dairy free with a simple substitution, noted below. Enjoy! Note for my kosher readers: this cookbook is not kosher, but many of the recipes are easily adaptable for a kosher lifestyle. Flavorful vegetarian soup topped with lemony couscous and garnished with fresh mint. Recipe from Lick Your Plate by Julie Albert and Lisa Gnat. In a large soup pot, heat olive oil over medium heat. Add onion and cook until softened, 4 minutes. 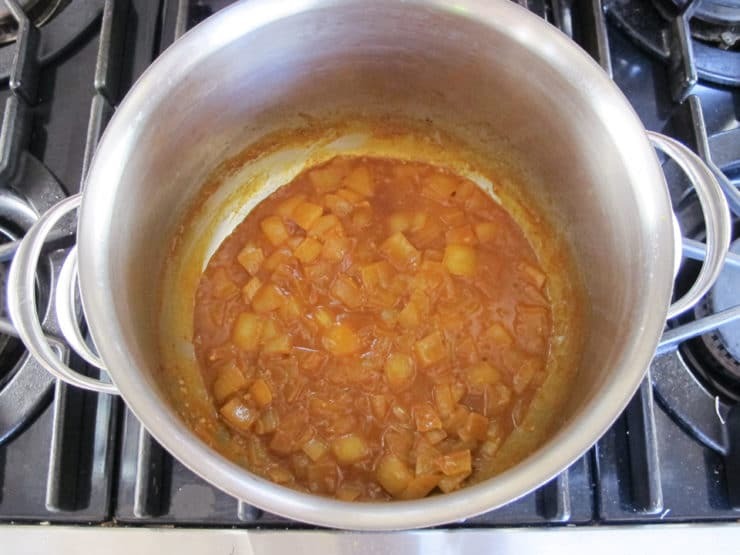 Stir in garlic, tomato paste, salt, cumin, paprika, cinnamon, turmeric and cayenne pepper, cooking for 1-2 minutes. Add white wine and reduce until almost completely evaporated. 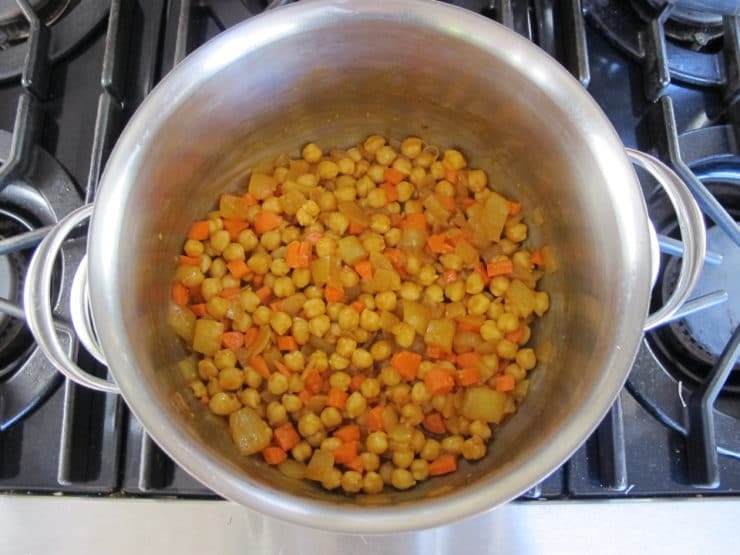 Add carrots and chickpeas, stirring to combine with spices. Add vegetable broth and diced tomatoes and bring to a boil. Lower heat and simmer for 15 minutes. While the soup simmers, prepare the couscous. 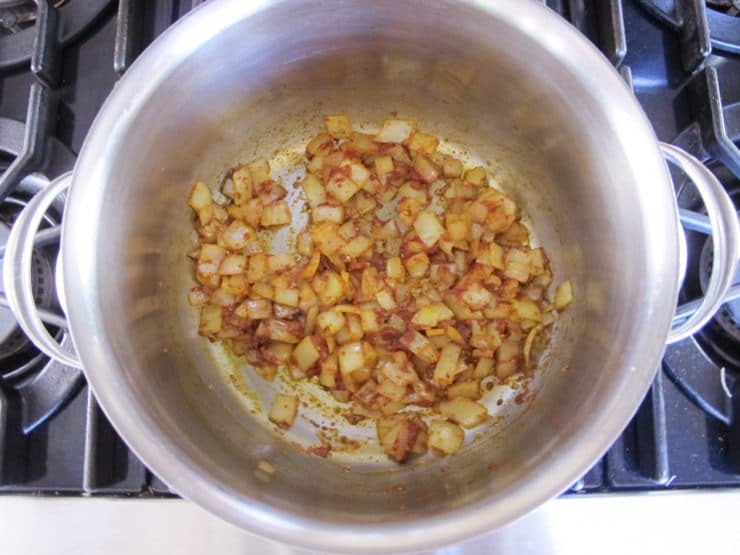 In a small saucepan, bring water, lemon juice and salt to a boil over medium high heat. Remove saucepan from heat and stir in couscous and lemon zest. Cover and let stand for 5 minutes. 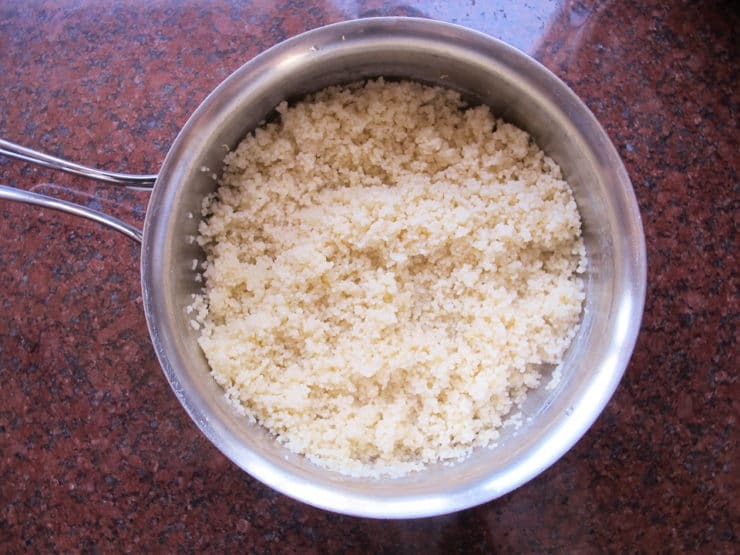 Uncover the couscous and fluff using a fork. 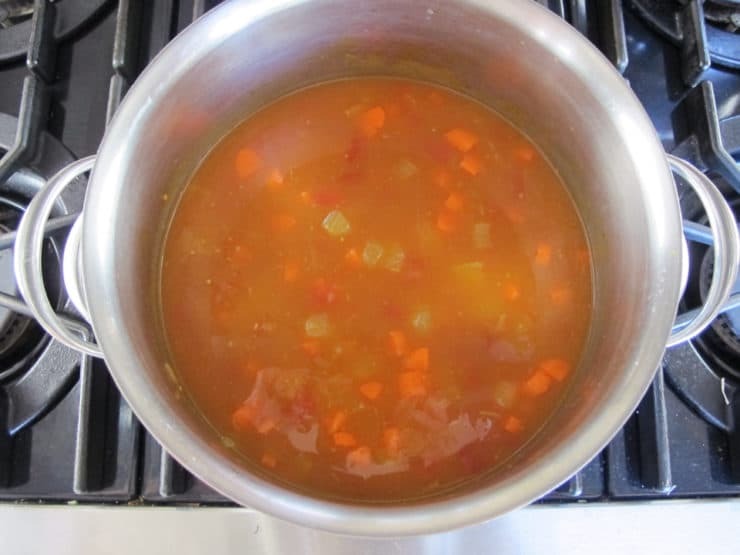 Once soup finishes simmering, remove from heat. Using a hand held immersion blender, lightly puree soup, leaving it slightly chunky. Stir in butter, lemon juice and lemon zest. 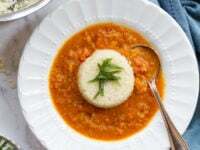 Top each bowl of soup with a mound of lemon couscous and sprinkle with fresh mint. Can’t wait to try this recipe. If I use canned chickpeas, is it one can or two? 2 cups is a little more than 1 standard can. If you want to just use one can it should be fine. Really tasty and easy to make! I was prepared to follow the recipe to the letter, but after prepping my veggies I realized we didn’t have cous cous. I ended up adding about 10oz or cooked fideo (I think that’s the name for it—cut spaghetti) at the very end, and it worked well—it thickened it up into something a little closer to a stew than a soup, but the flavor was great and the end result was super-hearty. I cant wait to try this. Love Middle Eastern foods . Ideas to substitute for the white wine? 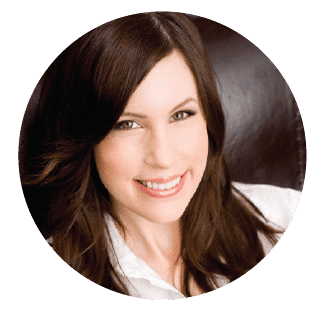 Hi Jill, Tori’s assistant Ashley here. You can sub vegetable stock for the white wine. I am trying to find a reciepe for cinnamon babka, I found it some time ago, and I only printed two pages of it. I love babka, and trying to interduce my grandchildren to love it. I tried this soup last night – I am slowly cooking my way through all your recipes Tori :))) – and my family and I loved it. The only two things I changed were using half the amount of Cinnamon (I find it a fairly overpowering spice) and adding a bit more Cayenne. I think the lemony couscous is a nice idea for other recipes as well. I often make couscous with chicken and usually only add chicken stock to it; this version will be a nice alternative in the future. “Wicked good,” as my compatriots in high-school used to say in the late ’60s, i.e., wonderful. I made it just now for my vegetarian husband (cooking for him is very difficult for me) and I’m sure he’ll like it. Very satisfying. I cut down some on the lemon zest, as lately my food has been over-lemoned which dominates the taste. Anyway, it was worth it, as it was delicious. I made this last night. It was started at 6:20pm and in the bowl and on the table at 7:15pm!! It was simply delicious and easy to make! Delicious, easy, and quick Sunday dinner! So flavorful and satisfying. I used fresh plum tomatoes and otherwise stayed with the script. I love that this will freeze well and we will have two more meals from this recipe! This looks so good. I live in Nepal and I’ve been looking for some unique items to make for our guests at our guest house. This looks like it will be a great addition to our menu. Hope I can find couscous. I like how you’ve embedded your URL with each line that I copied. Great trick! I don’t mean to plagiarize, but sometimes I forget to copy the URL. Great solution. Add 10 oz. fresh or frozen, cubed butternut squash at the same time as the broth and diced tomatoes! A little chopped cilantro added at the end is nice too. I didn’t blend, just smashed some of the chick peas with a fork. This looks so delicious! Can’t wait to try it! I’m forwarding this to my daughters and my friends! Thanks so much! My fish-eating vegetarian husband (just no chicken or beef) doesn’t care for hot soup in the summer. Yesterday here in Jerusalem it hit 107 degrees (41.66667ºC). But this soup sounds right up his alley. How do you think it would taste served cold? 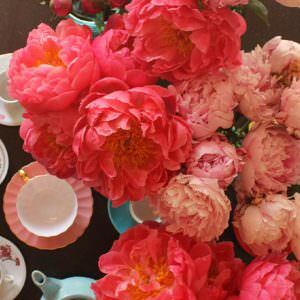 Chana, I think it would be lovely cold, I recommend making it as written first and then chilling it. I ate my third helping about two hours after dinner and the soup was cold by then. I liked it just as much :). Will try this with olive oil for parve. Looks good. Soup looks lovely. I think basil would also be nice since tomatoes and basil are so good together. Nice vegetarian soup recipe, thank you! might have to make soup for the first time! How lovely, the presentation with the couscous is so nice. Will try soon. Only takes 30 minutes? Sign me up! Love the combination of spices and the addition of lemon. can’t wait to try this one!